Discussion in 'Single Player Forum' started by diablo loves donutz, Oct 8, 2006. RL: Stay at home, relax, probably download some more albums from itunes onto my ipod, and maybe give my neighbor a call and see if he wants to tear up some Halo2. It is the Lord's Day... see signature below. Ah youth...I remember when Sunday meant no work and all play. Now, the only reason that I'm not at work right now is because I have a wicked flu my boss doesn't want me to give to my students. As opposed to my ex-bosses who would say nothing if I showed up with the flu, but tacitly frowned on me if I took the day off and did not work. RL: Is my nephews first birthday. The party is at my parents house. Should be a good time. Just hope I can get out of there in time to do some hunting. D2: I think I'll kill pindle a few more times and maybe meph too just to keep the monotony down. Bingo. And I work in a supermarket deli too, I could get half this town sick. RL: As guessed from above, I worked today, but it was a short day because they don't like to pay me time and a half for a full day. So I hope that helps some of you Wolfbarb players out. Next up is Vargas, my swords-only frenzy barb, named after the swordmaster that taught Fighter in 8-bit Theater (awesome webcomic). Somehow my next several characters are all barbs. Not sure how that happened (especially as they're my least favorite class). Ah well, off to do stuff. RL: Hanging out this weekend. I have tomorrow off, so I might bum around with some friends. D2: Recently acquired a ton of nice items through trades: Mara's, HotO, ED/IAS j00l. Thanks to some Hellforge drops (Zon and Pally - Nm), I was able to cube Mal, letting me make a second Oath for my Frenzy Barb. Unfortunately, I'm now close to broke. Now I have to churn through the Pindlethon. Nothing great has dropped thus far, and I typically shy from repeated runs, outside of Mephisto. Translation: frustration. Winding down with a hot drink and a forum post. RL: This week should (hopefully) be less busy than last. First week of a full/proper schedule as well, so a better idea of how this term will be. Just worked most of the weekend really, and I'm a little bit worn out now. I was tired going into it though so not too worried. D2: Started up some 1.00 gameplay. Super mana potion dropped in the Cold Plains. I was a little bit shocked. After this I'm hoping to be able to get a 1.11 druid past Act 1 this evening. He's sat at the Catacombs 2 waypoint, so it should be do-able. I want to experiment with seeing if I can host/join MP games soon, but that can wait. It's a first step to doing that more often and also a gateway to PvP'ing as well. Samsung: Marlin .22 is a nice gun. Reliable, accurate, and well made. Its a gun that you can pass on later on. Is it a single shot break or an automatic? Um.. I'm not sure really. I've never fired a gun before that 22. After each shot I have to pull the trigger again, it holds 10 bullets. Would that be considered a single shot? That would be an automatic. 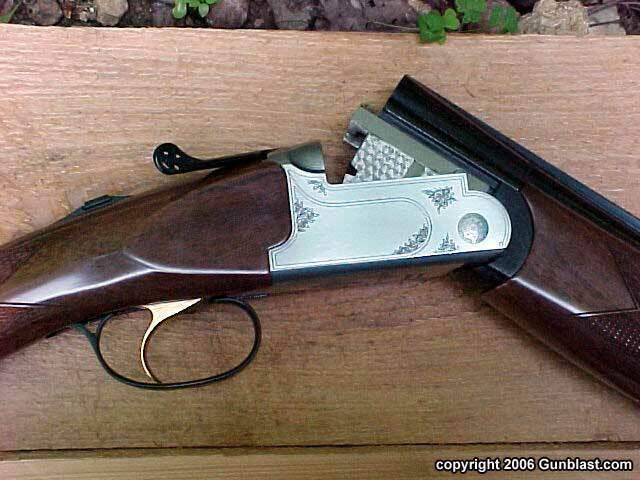 If it was a break the gun would literally break and pivot on a hinge so that the back of the barrel was open. When open it looks like this. You have to put new shells in manually after each shot with at break. Those are the two most common actions for .22's. Just wanted to know. RL: Went to buzzfest today to see a lot of bands play...only got to see 3 because I basically had a heat stroke...Sat down...started to feel woozy...got up after girlfriend went to get me a drink and found one of the beer ladies and told them they had to find me someone that works there because I was passing out lol...blacked out for a couple minutes and woke up in the medical room where no one did anything to really help except but a wet rag around my neck...totally sucked. D2: Wow at the items coming from the pindlethon. I have never been this rich on bnet from 4 years of playing! and Countless other items. Ill post everything either tomorrow or the next day because I only have 500 more runs to go.